At present, about 45 million Americans are over the age of 65, and by 2020, one out of every six Americans will be 65 or older. These statistics are reflective of a worldwide phenomenon in developing and developed countries alike unrivalled since the Industrial Revolution. 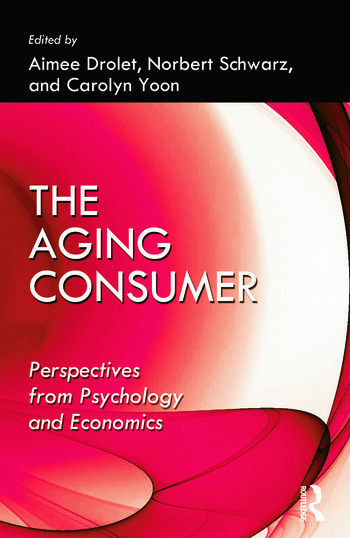 This edited volume, written by experts in many fields, examines the economic and psychological research on how aging consumers behave, make decisions, and choose in the marketplace. The book takes stock of what is known, identifies gaps and open questions, and outlines an agenda for future research. It covers topics from the individual to the societal level of analysis. Preface. Part 1. What Changes with Aging? A.H. Gutchess, Cognitive Psychology and Neuroscience of Aging. M.D. Hurd, S. Rohwedder, Spending Patterns in the Older Population. A. Drolet, L. Lau-Gesk, P. Williams, H.G. Jeong, Socioemotional Selectivity Theory: Implications for Consumer Research. Part 2. Decision Making. E. Peters, Aging-related Changes in Decision Making. G. Burtless, Do Workers Prepare Rationally for Retirement? S.L. Wood, J.A. Shinogle, M.M. McInnes, New Choices, New Information: Do Choice Abundance and Information Complexity Hurt Aging Consumers’ Medical Decision Making? C. Folkman Curasi, L.L. Price, E.J. Arnould, The Ageing Consumer and Intergenerational Transmission of Cherished Possessions. Part 3. Older Consumers in the Marketplace. C.M. Bonifield, C.A. Cole, Comprehension of Marketing Communications among Older Consumers. R. Lambert-Pandraud, G. Laurent, Impact of Age on Brand Choice. C. Yoon, F. Feinberg, N. Schwarz, Why Do Older Consumers Tell Us They Are More Satisfied? H.R. Moody, S. Sood, Age-branding. N. Charness, M. Champion, R. Yordon, Designing Products for Older Consumers: A Human Factors Perspective. Aimee Drolet is Associate Professor of marketing at UCLA, Anderson School of Business. She is a psychologist who studies consumer decision making. In particular her research focuses on the mental processes that underlie consumers’ judgements and choices. Much of her recent research is on elderly consumers. Carolyn Yoon is Associate Professor of Marketing at the Ross School of Business, University of Michigan. She holds appointments as associate profess of psychology and as faculty associate in research center for Group Dynamics of the Institute for Social research. Her research centers on understanding memory, cognition and judgment processes across the lifespan in social and consumer related contexts. She is a leading expert in the field of consumer neuroscience. Norbert Schwarz is Charles Horton Cooley Collegiate Professor of Psychology at the University of Michigan, where he holds positions as Professor of Marketing and Research professor in the Survery research center and theResearch center for Group Dynamics of the Institute for Social Research. His research focuses on human cognition, communication and judgment, including its implications for consumer behavior. He has received the Wilhelm Wundt Medal of the German Psychological Association for contributions to psychology as an experimental science.